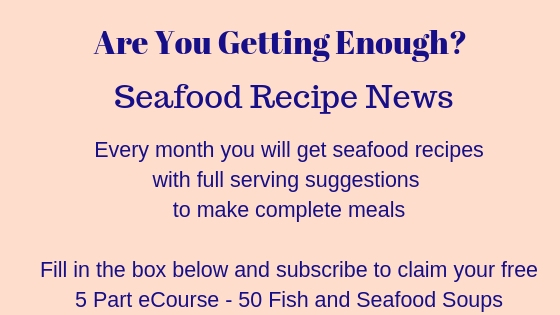 Issue #15 of Seafood Recipe News brings you ideas for a seafood lunch. Seafood lends itself in so many ways to 'lunch'. 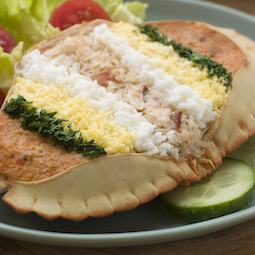 You can't beat fresh crab - a lot of people prefer it to lobster. These two choices crab legs or dressed crab (or you could do both!) would be hard to choose from. 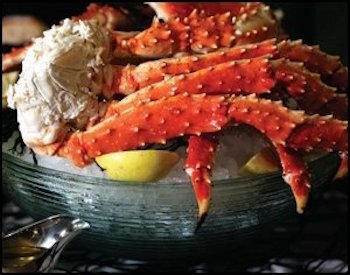 There's some great tips on cooking crab legs here with a video showing you four ways of cooking them and some handy tips on portioning them instead of serving a whole leg. Some brown bread and butter would be just right with a glass of something cold and bubbly. If you can't dress a crab yourself, you can buy them ready done from the fishmonger. You might have to order it. OR you might be wandering by one day and see it in the window and think 'Oh, I'll have one of those for my lunch'. I think this seafood platter is a pretty amazing lunch. 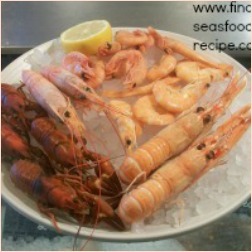 There's lobster, crayfish, Dublin Bay prawns and shrimp. Serve it over a bed of ice and just simply add lemon juice. Make sure you buy the freshest you can for this - it's not going to be cheap and you don't want substandard goods. A dip of home made mayonnaise would be good - especially for the lobster but I think the rest of this will be so juicy, anything else would spoil it. Now, this really would call for a glass of fizzy dizzy juice! 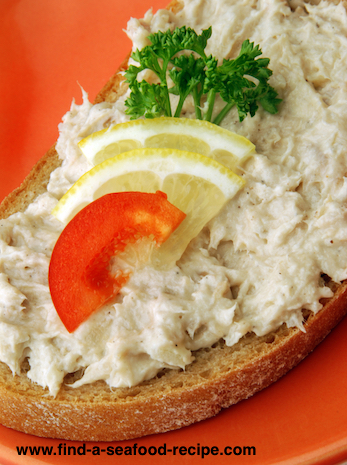 Tuna pate - this is so simple to make and so tasty. You can knock it together in minutes and it'll taste like you've spent hours in the kitchen. It's great on toast - or you could use it as a sandwich filling. Maybe cut some veggies into sticks - carrots, bell pepper, cucumber, mushroom, radish - then you can use this as a dip. Or you could use crackers or chips. 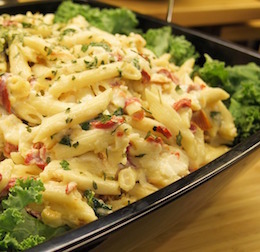 This gorgeous seafood pasta salad can be made with just about any fish you fancy. It's super simple to make, lovely to eat - it's great served up for a packed lunch for work or school. My son used to love this when he was a boy. Lovely seafood bisque. It's a creamy shellfish soup. Great served with some crusty bread. Now, believe it or not, you could eat your crab claws or fresh crab one day and make a bisque out of the shells. I promise you, you really can do that. You make a fish stock out of the shell - that gives the bisque the majority of its shellfish taste. You could freeze the shells if you don't want to use them so quickly. 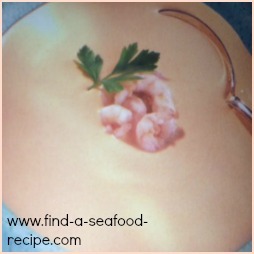 You can make a bisque out of any shells - shrimp, lobster, crab, crayfish, corvettes - any type at all. You can reserve a tiny amount of meat if you wish, but it's not essential. Another soup, for which I make no apology. 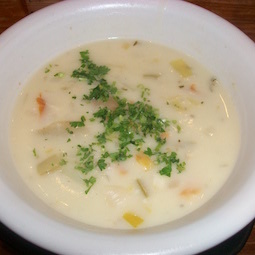 This is gorgeous Cullen Skink. It's made out of smoked haddock and it's thickened with mashed potato. It's a tasty, creamy, substantial soup that would make a great lunch. You would serve this with some bread and butter or just crusty bread. Nobody would be hungry after a bowl of this! The sky's the limit for fish sandwiches - try the filling in a wrap for a change, on rolls, bagels or just sliced bread. Add chopped lettuce, tomato, mayo, tartar sauce - mix it up as you fancy. A soup and a sandwich is a substantial lunch which will keep you going well into the evening. 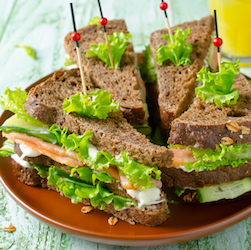 The triple decker fish sandwich in the photo - a little tip - any time you're making triple deckers, think about toasting the bread. It makes it a bit more stable to handle. Check out my Pinterest Board that I've loaded with over 30 sandwich ideas for you - croissant, rye bread, flat bread, open sandwiches, toast, melts. Filled with hot fish, cold fish, canned fish, smoked fish, shellfish - with avocado, mayonnaise, herbs, salsa, grilled cheese, horseradish. You could eat a different combination of seafood sandwiches every day of your life! Look at those crab sandwiches made out of croissant - what a great idea for a Sea themed party! Click on the board below to go through to Pinterest - do follow me if you've not already done so.